Notification No. FD.PC 2-1/2017 is issued by Government of the Punjab Finance Department dated 14-07-2017 about Salary Increase 10% of Government Employees with Punjab Govt Revised Pay Scale 2017. Government of the Punjab has issued this mentioned notification as per federal government. Punjab Govt Revised Pay Scale 2017 has been introduced with the merging of Ad-hoc Relief Allowance 2010 which was 50%. Governor of the Punjab has been pleased to sanction Punjab Govt Revised Pay Scale 2017 with effect from 01-07-2017. The basic pay scale 2017 will replace with the basic pay scale 2016. Pay of government employees has been fixed as per existing employees in the same scale and employees on promotion. Annual increment shall also be admissible to government employees on 01st December each year. Ad-hoc allowance 2010 has been merged to introduce new Punjab Govt Revised Pay Scale 2017. Whereas ad-hoc relief allowance 2016 has been freeze and new ad-hoc relief allowance 2017 will be included with effect from 01-07-2017 in the salary slip @ 10% of the running basic pay scale. In daily Newspaper it is said that Salary increase for Government Employees of KPK province is expected to increase only 10 to 15 percent. All provincial governments are preparing budget for fiscal year 2018-19. 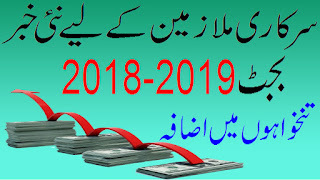 In this regard all government employees of Punjab, Khyber Pakhtunkhwa, Sindh and Balochistan are expecting to notable increase during this budget but still there is no welcome news yet for these all government employees. In Dunya News Channel, it is confirmed that there will be 12 to 15 % increase in Pay and Pension. According to the sources it is announced that Pay and Pension will not be increased more than that as said percentage. 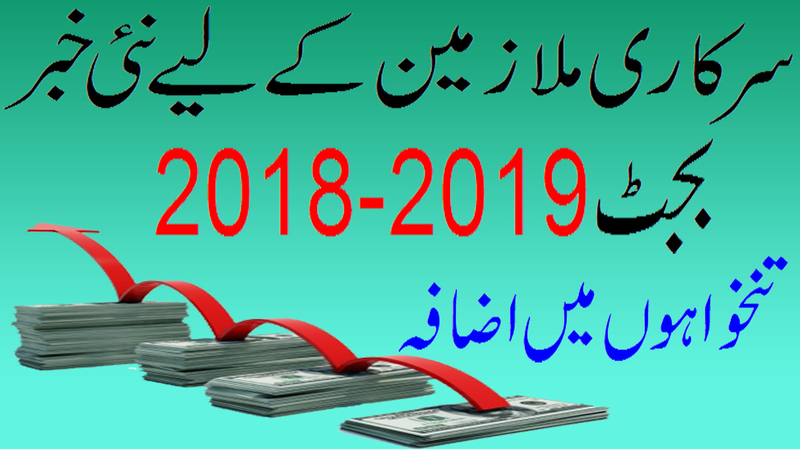 As per Roznama Azadi Swat, according to this news report it is said that there will be increase in pay and pension 12 to 15% for Government employees in coming budget 2018-19. It is also reported that there is an estimate of 360 billion rupees for salary of Government employees of Pakistan. It is also said that the increase in salary of employees not more than 12% to 15% with the merging of two adhoc Allowances.